Zaytoun Orthodontics, located in Raleigh, Cary, and Garner, treats post-orthodontic relapse with long-lasting, affordable treatment options – not costly, temporary fixes. Whether you have had previous orthodontic care or not, teeth commonly shift over time, due to changes in jaw & facial muscles and tooth wear & tear, among other issues. If left untreated, what can Post-Orthodontic Relapse cause? How do you correct Post Orthodontic Relapse? Zaytoun Orthodontics has decades of experience in treating adults experiencing post-orthodontic relapse and can offer our patients multiple approaches to treatment, eliminating the need for costly veneers or other cosmetic procedures. Invisalign: Adults tend to want a solution that is both effective and discreet, and Invisalign triumphs on both fronts! Just like conventional braces, you get the benefits of straightening your teeth without wearing bulky brackets or elastics. Porcelain braces: For most people in the workforce, the look of conventional braces is a non-starter. Fortunately, we offer porcelain braces to avoid this situation. 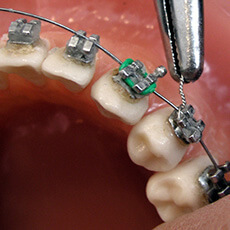 These are similar to traditional braces but are placed on the backs of the teeth. This makes the braces practically invisible, while still providing an effective solution for your smile. If you’d like to hear more about our unique approaches to treating adults with post-orthodontic relapse, contact one of our Smile Counselors today to schedule an appointment. Whether you need something as simple as a retainer, want the seamless straightening of Invisalign, prefer the hidden help of porcelain braces, or are interested in trying self-ligating braces, the team at Zaytoun Orthodontics is ready and willing to help!